KFWB Radio, Los Angeles, 2 September 1945. 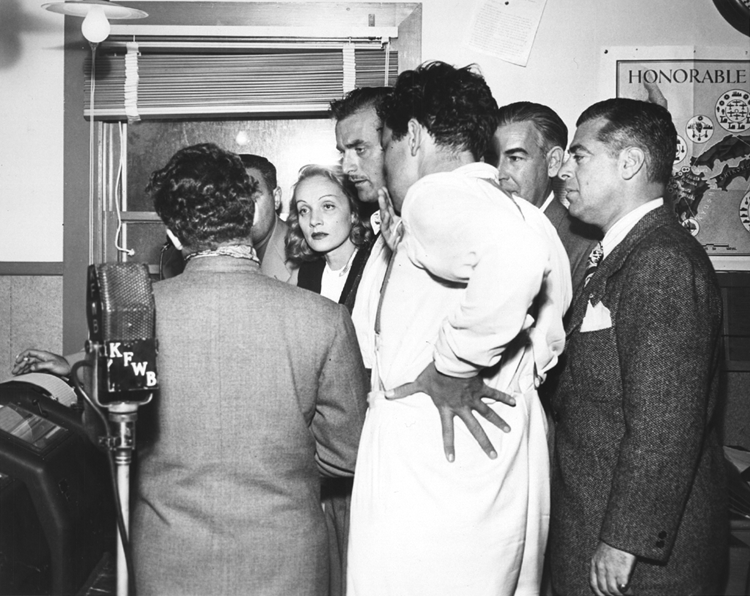 Marlene Dietrich, Orson Welles, John Dehner and a crowd of men gather around a teletype machine as news arrives of Japan’s surrender. Photo by Otto Rothschild.